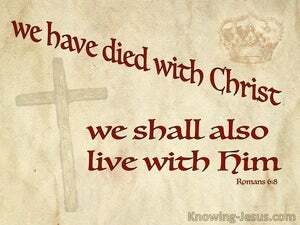 Now if we have died with Christ [i.e., to the practice of sin], we believe we will also live with Him. [Note: This "living" probably refers to our spiritual relationship with Him during our Christian life]. 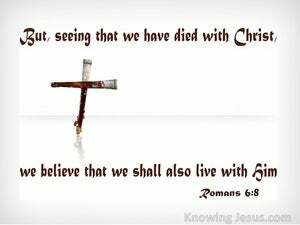 And our belief is, that, as we have shared Christ's Death, we shall also share his Life.